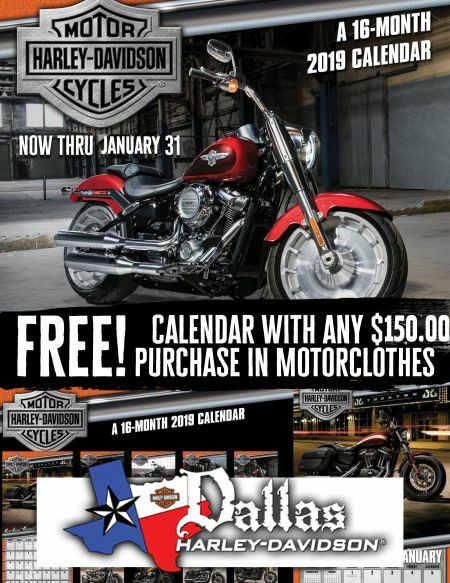 Spend $150 in Motorclothes on any Licensed H-D product and receive a FREE 2019 Calendar! Offer Valid for the month of January only. Some restrictions may apply. Please see dealer for details. Offer valid while supplies last.